Our December newsletter is here! 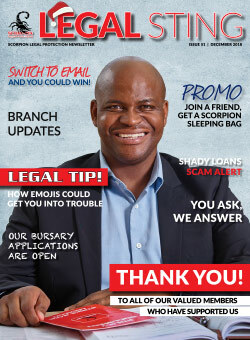 Get the latest issue of Legal Sting and find out more about why you should be careful using emojis, as well as the latest scam doing the rounds. We've also got member testimonies on how the Scorpion team helped them out, and much more. 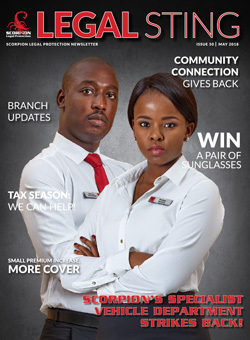 Stay updated with all the important details regarding your legal policy and promotions, enter our competition and see what our Community Connection Department has been up to.